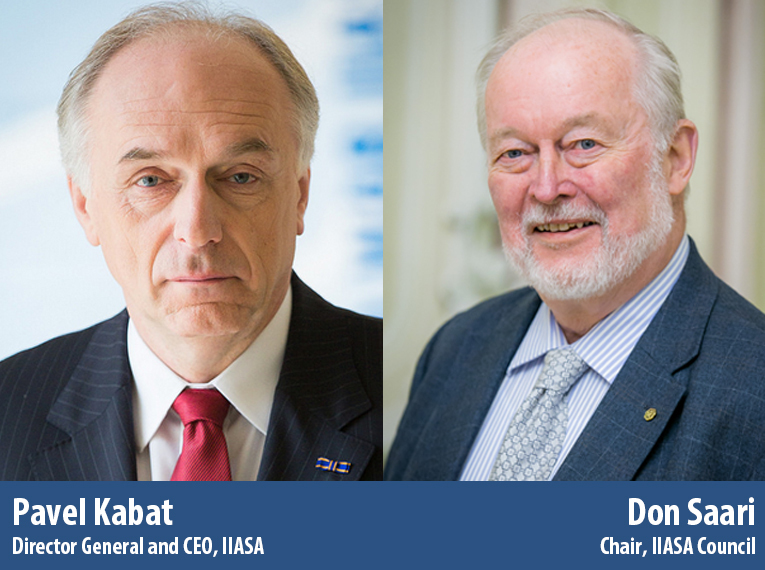 2015 was an outstanding year for IIASA. The institute’s research played key roles in international agreements, the UK was welcomed as a member country, the first IIASA Systems Analysis conference was held, and the new Research Plan 2016–2020 was finalized, guiding the institute towards a productive and successful future. Research for a Changing World: IIASA Highlights 2011–2015 demonstrates how IIASA research has shaped policy at national, regional, and global scales and showcases the copious benefits it provides to its member countries, in terms of policy advice, capacity building, and science diplomacy. IIASA continues to foster connections with researchers, policymakers, and business leaders worldwide. In 2015, 333 researchers from 49 countries worked at IIASA, 1,815 collaborators visited the institute, and around 25% of alumni were actively involved in its work. Together, they made up a global network of over 3,000 scholars. There were 562 IIASA publications in 2015, of which 249 were peer-reviewed journal articles, written in collaboration with over 650 coauthors from 160 institutions in 43 countries. IIASA also embarked on an open access policy, and as of January 2016 almost all scholarly papers will be made freely accessible via the IIASA repository. IIASA made important contributions to discussions leading to the formulation of the UN Sustainable Development Goals and contributed vital science underpinning both goal seven — to ensure access to affordable, reliable, sustainable and modern energy for all — and goal thirteen — to take urgent action to combat climate change and its impacts. 2015 saw the launch of two projects specifically focused on how to implement all 17 goals in an integrated manner. IIASA work also played a central role in negotiations at the Paris climate summit, providing the only study to have explicitly investigated actions needed to achieve a 1.5°C limit. The institute’s annual budget in 2015 was €22.1 million, of which 53% was from prestigious research funding agencies in 23 countries spanning Africa, the Americas, Asia, Europe, and Oceania. These diverse sources of income enable IIASA to perform research that is truly independent, and we take this opportunity to thank our National Member Organizations for their support in 2015. Over and above these member country contributions, additional competitive funding totaled €51 million between 2010 and 2015. This is part of a funding portfolio of €250 million — the total awarded to external projects featuring collaborations between IIASA and its member countries. IIASA would not be where it is today without the invaluable contributions of staff and collaborators. We thank them wholeheartedly for their tireless efforts, and look forward to even greater success in 2016.